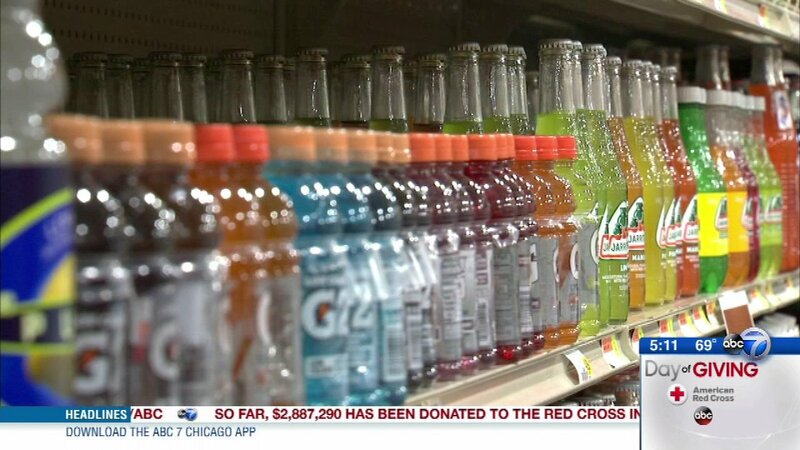 HAZEL CREST, Ill. (WLS) -- Several South Side and south suburban business owners are calling for lawmakers to repeal the tax on sweetened beverages. The owners claim the tax drives customers away. Bill Cacis, owner of Teddy's Fruit and Meat Market in Hazel Crest, said sweetened beverage sales in his store have fallen 35 percent since the tax took effect. "Customers come in, some of them don't even know about the pop tax, my cashiers tell them about the pop tax, and they just leave the item down," Cacis said. "This tax doesn't promote health. It drives business out of Cook County," said Marshall Pierce, co-owner of Corner Pantry Express in Chatham. The owners said they worry about the long term effects of the tax and fear that it could lead to a loss of jobs.